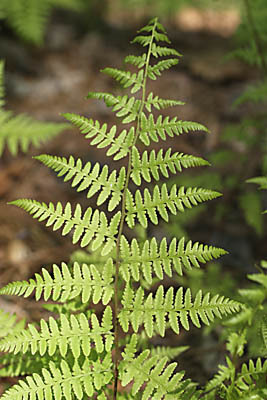 Athyrium asplenioides Lady Fern Grows profusely in damp sloughs, ditches, stream banks, and low areas on the forest floor. 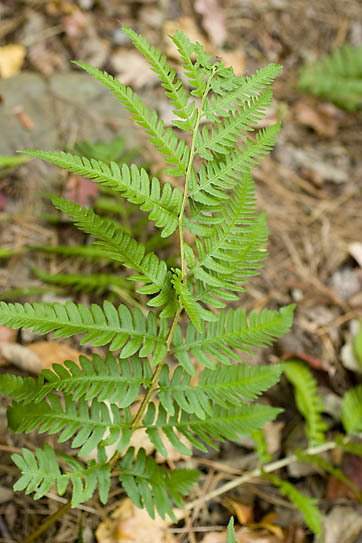 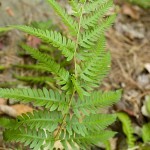 Our most common deciduous fern. 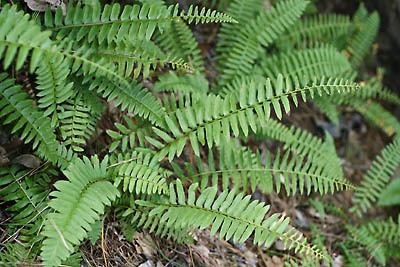 D. cristata Crested Wood Fern A Wood Fern that is rare in Durham County - Historically there was a large colony at Huckleberry Springs. 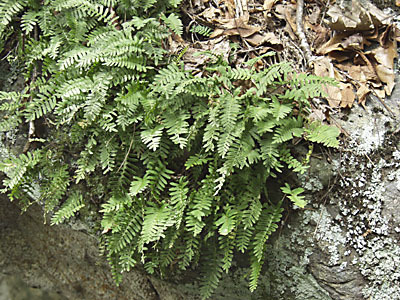 Polypodium polypodioides Resurrection Fern A small fern that colonizes rock crevices and tree trunks. 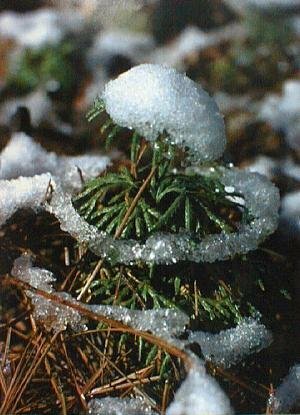 It becomes desiccated during dry weather then becomes green and lush a few hours after a rain. 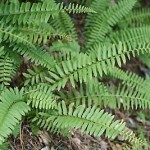 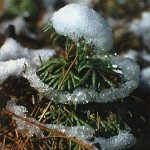 P. acrostichoides Christmas Fern There are many stories about how the common name of Christmas Fern came about -the most likely is because this fern is one of very few lush green plants in forests during the winter months.